Hailed by the press as a "...breathtaking" and "...stunning" pianist, Dmitri Novgorodsky began to play the piano at age five and was admitted into a special music school for gifted children a year later. By the age of 16, he had won the First Prize at the Kazakhstan’s National Piano Competition, and later the Gold Medal of the National Festival of the Arts. Mr. Novgorodsky graduated from the studio of Professor Victor Merzhanov at Moscow Tchaikovsky Conservatory with high honors in 1990. In 1992, he was offered a full scholarship for advanced studies at Yale University School of Music in the United States. Under the tutelage of Professor Boris Berman, he earned the Master of Music, the Master of Musical Arts, and the Doctor of Musical Arts degrees. Currently, Mr. Novgorodsky is the first and the only Moscow Tchaikovsky Conservatory graduate in Piano Performance to have earned the Doctor of Musical Arts in Piano Performance degree from Yale. In 1999, he was granted the Extraordinary Abilities in the Arts permanent US residence, "as one of a small percentage of those who have risen to the top in their field of endeavor". Mr. Novgorodsky has appeared in Russia, Ukraine, Byelorussia, Kazakhstan, Israel, France, Austria, Canada, Spain, Turkey, and Taiwan. In the United States, he has performed in such venues as Carnegie Hall and Steinway Hall (New York City); the Kennedy Center); the WLFN Talent Showcase (Philadelphia); the Chazen Museum of Art in Madison, WI (in live broadcast solo recitals). Among the highlights have been performances at the Center for Advanced Musical Research in Istanbul (sponsored through the US Department of State Artist Abroad Award); solo recital at the Kazakhstan's Kurmangazy National Conservatory of Music; collaborative performances at the Deià International Music Festival/Palau March Summer Concert series (August 2014) and solo recital at the Conservatori Superior de Músicade les Illes Balears with master class for the International Piano Cátedra 'Alicia de Larrocha' in Palma de Mallorca, Spain (March 2018); appearances as concerto soloist and chamber musician at the Talalyan Brothers Festival in Erevan, Armenia (May 2016) and Forte Music Fest in Almaty, Kazakhstan (May 2015 and 2017); solo and piano duo recital at Moscow Tchaikovsky Conservatory, Russia with Yuri Didenko (January 2018); 4-hand piano collaborations with Xak Bjerken at Cornell University's 'Mayfest'; piano duo with Miri Yampolsky; violin/piano with Susan Waterbury; viola/piano with David Rose; cello/piano with Elisabeth Simkin; concerto performances with Kazakhstan State Philarmonic Orchestra, Connecticut Virtuosi Chamber Orchestra, Fox Valley Symphony, Temple Symphony, Lawrence Symphony, Fredonia College Symphony Orchestra, Western New York Chamber Orchestra, and Ridgefield Symphony Orchestra (visit personal website to read more reviews). One of the four chamber compositions by contemporary authors Mr. Novgorodsky has premiered - "Prophecy from 47 Ursae Majoris" for clarinet and piano by Andrew Paul MacDonald - won the 2001 Third International Web Concert Hall Competition, was performed at Carnegie Hall with Yamaha performing artist, Arthur Campbell, and became a part of the CD Premieres, released on the ‘Gasparo’ label. A CD of pieces for oboe and piano by the 20th century Russian-Soviet composers, recorded in collaboration with Professor Mark Fink, was released by the UW Madison Press in the fall of 2007 and has been commercially available in 18 countries. A CD of cello transcriptions for double bass and piano, recorded with Dr. Michael Klinghoffer at the Eden-Tamir Music Center in Jerusalem, Israel, was released on the ‘Shikidri Recordings’ label in Japan in Fall 2015 and critically acclaimed as a "fascinating release" in July 2018. A recording of Stephen Hartke’s “Sonata for Piano Four-Hands” with Dr. Xak Bjerken was made in June 2018 and is awaiting its release. Dr. Novgorodsky's pedagogical experience comprises more than 18 years of university teaching. His students have continued their graduate studies at Juilliard, Manhattan School of Music, Mannes, New York University, New England Conservatory, Cleveland Institute of Music, Cincinnati Conservatory of Music, Northwestern University, University of Colorado Boulder, University of Texas at Austin. 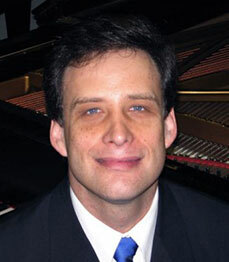 He has been a piano faculty at Grand Valley State University, University of Wisconsin, Lawrence University Conservatory of Music, Jerusalem Academy of Music and Dance, SUNY Fredonia School of Music. He joined the piano faculty of Ithaca College School of Music in August, 2015.